An individual or business acquires trademark rights either by being the first to use the mark in commerce in connection with specific goods and services, or by being the first to file an application for federal registration with an intent to use the mark. 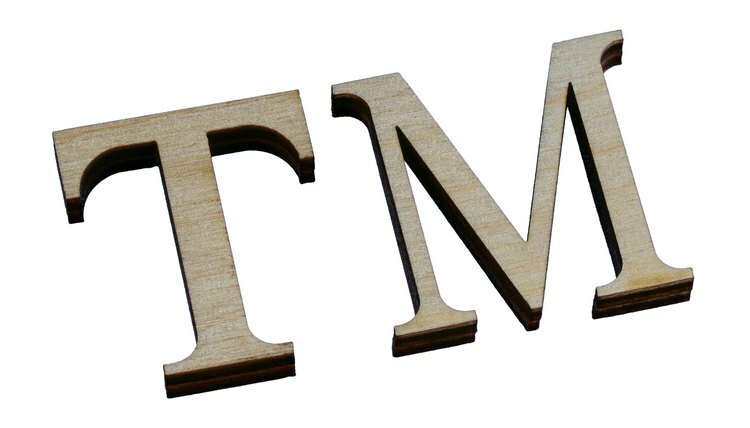 An unregistered mark may be followed by the TM (trademark) or SM (service mark) designation. This notifies the public that the individual or business associated with the mark claims ownership over it and is the first to use it in commerce. Once federally registered, the owner of the mark may use the ® designation. Not all federal trademark applications are approved. For example, if a mark is confusingly similar to another previously registered mark, the application will not be approved. Marks also cannot be merely descriptive, deceptive, or deceptively misdescriptive. Registration is not required. However, registered marks are national in scope. The owner of a registered mark has the right to sue for infringement in federal court. Registration also provides a public record of the date of first use in cases of infringement, and allows the owner to recover attorney’s fees, damages, lost profits and costs of infringement. Federal trademark registration remains valid for 10 years after filing, with optional 10-year renewal periods. To maintain active registration, the owner must file a “Declaration of Use” between the fifth and sixth year following the initial registration. If the declaration is not filed the registration is cancelled and cannot be reinstated. Owners wishing to renew registration must file for renewal within the last year of each term. The U.S. Patent and Trademark Office (USPTO) provides a six-month grace period for renewal, provided an additional fee is paid. If an owner fails to renew her registration, she must file a new registration application. A trademark owner may lose trademark rights despite valid registration and renewal. If an owner stops using a mark in commerce, the trademark is considered abandoned. The law only protects marks as long as they are in continual use. Rights may also be lost if the owner improperly licenses his mark. Finally, a valid trademark may become generic over time, resulting in loss of rights. For example, the word “aspirin,” initially a trademark of the Bayer company, has become generic over time and is no longer subject to trademark protection, in the United States, but remains under trademark protection in Canada and in many European countries. According to the United States Patent and Trademark Office, a trademark is essentially the same thing as a brand name. It may consist of a word, phrase, symbol or any combination thereof to establish an association between the mark and a particular product, service or celebrity. In effect, it helps the consumer distinguish one manufacturer from another. Because a trademark is unique by design or suggestion, it stands apart from generic words and symbols, making it easy to identify.